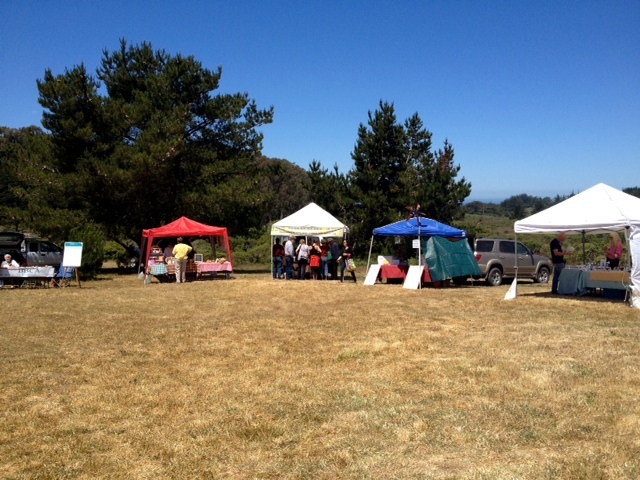 This morning we headed over to the Farmer's Market at the Bodega Bay Community Center just a little north on Highway 1. Nice little market…several booths (organic veggies, baked goods, artisan cheeses, hummus, meat, salmon and oysters, some skin care stuff….) as well as a booth where they were grillin up some lunch. And a band. 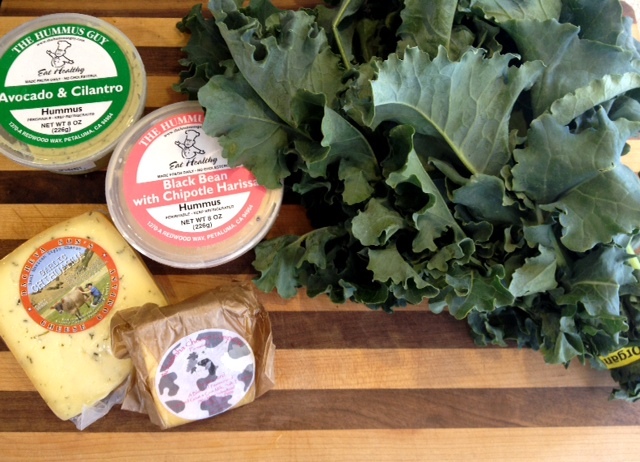 We picked up two kinds of hummus from The Hummus Guy, some cheese, and a huge bunch of organic collard greens. I think we'll crack the crab our neighbors gave us for lunch today. Tide's coming in. 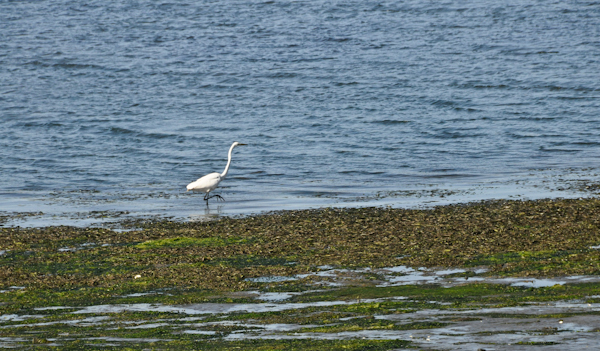 Egrets are fishing. 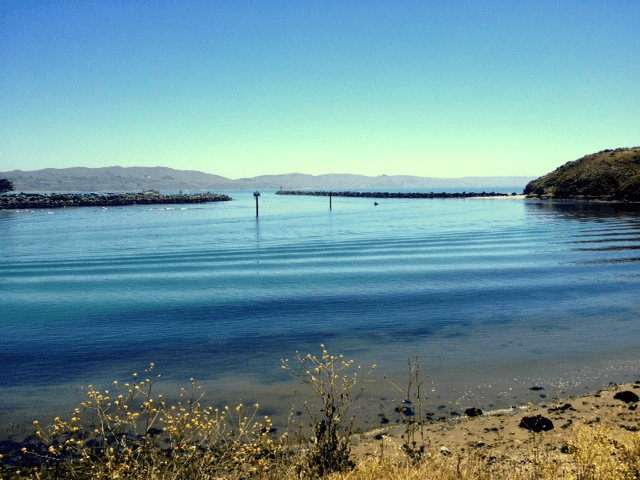 Sea lions are barking. All is good.